Emails show the government was worried about what they called an “extremely painful” PR nightmare. This is the revelation from a number of internal emails, uncovered by a Freedom of Information Act filed by the Union of Concerned Scientists, Politico reports. The gist: If this report were released, it would be a disaster for the EPA’s reputation, as well as that of the Department of Defense, which is responsible for much of the pollution in question. 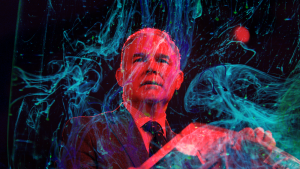 Because if there’s one thing that Scott Pruitt has left pristine in his scandal-filled tenure as EPA head, it’s the organization’s reputation. But we’ve learned a few details of what the report contains through the emails themselves. The study’s most notable conclusion was that two kinds of chemicals called PFOA and PFOS, which were used in products like firefighting foam, if found in drinking water, can cause health problems like cancer or pregnancy complications — even when their concentration is at one-sixth the level previously thought to be dangerous. The decision to withhold data on what could be a major public health issue was “brazenly political,” Judith Enck, a former EPA official under the Obama administration, told Politico. Each of the superfund sites and water sources tested in the study were found to be contaminated, and in many cases the Department of Defense was culpable. So by not publishing the study, the White House and EPA may have avoided billions of dollars spent on cleanup, taking responsibility and enraging their corporate cronies. Apparently not a concern (or at least weren’t mentioned in the emails)? The people who rely on that contaminated water, or their health. According to the study, nursing mothers and infants are at a greater risk, but actual health impacts don’t seem to have factored into the EPA and White House’s decision-making process. Since those emails were sent, the report has been indefinitely delayed and Politico confirmed that there are still no plans to publish it.